Synopsis: When the menace known as the Joker wreaks havoc and chaos on the people of Gotham, the caped crusader must come to terms with one of the greatest psychological tests of his ability to fight injustice. Did You Know? This is the first film based on a comic book to win an Academy Award for acting. Quotables: LUCIUS FOX: Let me get this straight, you think that your client, one of the wealthiest and most powerful men in the world, is secretly a vigilante, who spends his nights beating criminals to a pulp with his bare hands, and your plan is to blackmail this person? Good luck. I’ve seen this picture countless times, and I’ll undoubtedly watch it countless more. It’s the best film in Nolan’s Batman trilogy, and it’s one of the best films of all time. 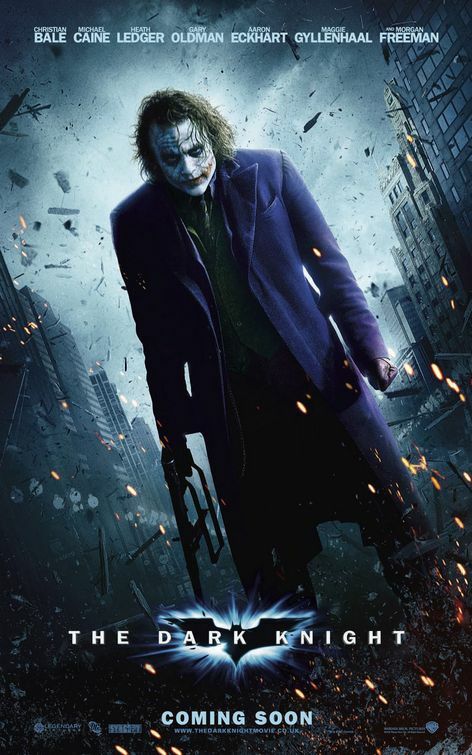 It maintains some of the corniness of comic books, but it sets the stakes high for action dramas, and that is due largely in part to Heath Ledger’s revolutionary performance.